As an education and advocacy organization, we find that many patients benefit from the simplest guidance that helps them to get on the most direct path towards effective treatment, without too much additional reading material. To this end, we have put together this spinal stenosis tips tutorial to help patients, who have been diagnosed with central vertebral canal or neuroforaminal canal narrowing, to learn more about their treatment options quickly and easily. Of course, we are also a research organization, so we like to back up all of our suggestions with proven facts. This is obvious when reading all of the other pages throughout our various web properties. However, for this page, we will deviate from our usual practice of extensive fact documentation to put forth the most direct path for patients to find effectual care for various manifestations of spinal stenosis. In order to satisfy readers who want to learn more about a given topic, we will include links to more detailed pages on other sections of our website to provide the whole story about a particular treatment option. Now, without further ado, here are our recommended tips for spinal stenosis patients. Always seek diagnosis from a spinal neurologist. Stenosis is a condition that causes pain through nerve compression, making a neurology professional the best choice for achieving an accurate diagnosis. Remember that most cases of stenosis are normal and caused by age and activity. Virtually all cases of mild to moderate canal narrowing are harmless and will not cause pain, now or ever. However, be warned that many coincidental cases of stenosis are blamed for causing pain, leading to poor treatment outcomes for millions of patients. Stenosis is virtually always present in the mid to lower neck and in the lower back region. This is considered normal for humans over the age of 40 to 50. Being diagnosed with a loss of canal patency here should be expected, not surprising. Certain lifestyle factors can increase the extent of stenosis or influence the age of development. Many younger people might demonstrate significant stenosis due to injury, repetitive stress or participation in certain activities, like gymnastics. Just because the spinal or foraminal canals are narrowed does not mean that symptoms will result. Neurological tissue must be definitely compressed in order to painful or frightening expressions to occur. If the nerve is not affected, the mere presence of stenosis should be monitored, but not treated. Treatment should only be rendered for symptomatic stenosis that has been definitely proven to be the cause, based on symptomology location and expression. Symptomatic care will never resolve stenosis. 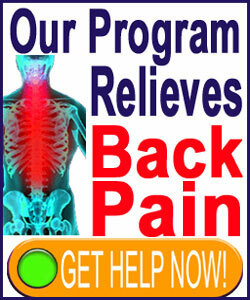 It will merely make living with the condition easier, by relieving some of the pain or neurological deficits. Virtually all conservative modalities qualify as symptom-based care, except for nonsurgical spinal decompression, which might be curative for transient disc-related stenotic changes and some forms of spinal joint-enacted stenosis. 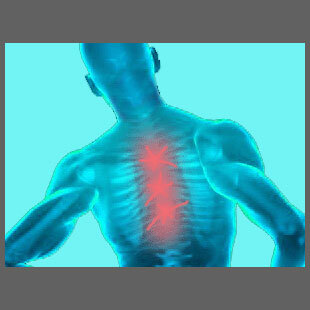 Curative treatment seeks to actually change the spinal anatomy to permanently resolve symptoms. Curative measures are virtually always surgical and therefore do demonstrate sizeable risks and the possibility for complications postoperatively. Although we are usually very anti-surgery for back and neck pain, spinal stenosis does enjoy some of the best results from operative interventions. As long as the diagnosis is correct and the procedure used is successful, most cases of serious and extreme stenosis can be completely cured, although some degree of permanent residual nerve injury may still exist after invasive treatment in some patients. Quick tips are great to gain exposure to large amounts of information at one time. However, we can’t help but recommend to all diagnosed patients that spinal stenosis has the possibility of being a very significant health issue and should be researched in painstaking detail by every affected person. After all, if you are not willing to put in the time to learn more about the condition, then you will have no one to blame but yourself if the results of treatment are disappointing. This is because most of the major hurdles faced by diagnosed stenosis sufferers are fully preventable with a bit of knowledge. Here at Spinal-Stenosis-Treatment.Org, we have assembled an expert editorial board that does nothing else but concentrate on offering completely free information and the latest news about spinal stenosis. We ask nothing in return, except for the chance to educate patients on what ails them and assist them in finding care that will relieve pain and improve the quality of life. We are not trying to sell any product or service. We just ask that you invest time in your own health, by learning about stenosis, in order to help you to make better informed choices when it comes to treatment. We hope that you have enjoyed and benefited in some small way from this stenosis tips patient guide. However, more than anything, we hope that we have also inspired you to become involved in your own care and to learn more about spinal stenosis before deciding on the best route towards treatment. This website is a great place to start, since we are 100% dedicated to spinal stenosis and cover no other topic. Best of all, you can become involved in conversation on our social media pages.